The book is based on some 40 outcome research studies. The authors conveniently accept the validity of such projects. We have devoted considerable time to the scrutiny of process studies and outcome research studies. They pretend to measure what cannot be measured. We have shown that such studies are invariably based on faulty premises and misleading oversimplification. Those defects can be readily seen by looking at their approach to the three basic areas they are concerned with: emotional illnesses, the various forms of therapy and the evaluation and classification of therapists. For instance, I have already stated that only about 15 per cent of the therapists engaging in psychodynamic psychotherapy have sufficient expertise to do so; the remainder can merely be classified as having a beneficial presence or a non-beneficial presence. 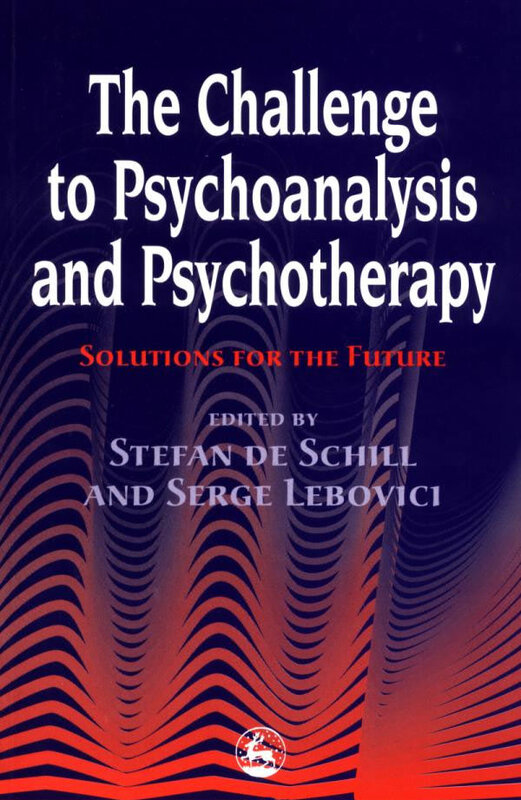 However, the authors do not hesitate to bolster their ‘scientific research’ by including all the therapists who claim to be psychodynamic psychotherapists, no matter how unqualified they are. A similar situation exists for all other treatment forms. For any evaluation, we should include only the therapists who have mastered the specific therapy method being examined. Outcome studies can only be produced by disregarding essential factors. Let us consider a few of the oversimplifications. Many of the outcome studies use control groups of people who do not receive treatment. However, such a procedure is useless. To illustrate, we will look at a simple example, without the detailed descriptions that would ordinarily be included. Let us assume that the study is examining the effect of psychodynamic therapy with a group of 20 depressed people. The control group would be 20 depressed people who will not receive treatment. First of all, it is impossible to match the first group in any meaningful way. Even keeping matters simple, using only the simplest determiners, one would have to consider the following factors in regard to each of the depressed people: Is the depression chronic? Is the depression cyclic and independent of tangible outside circumstances? Is the depression reactive—that is, triggered by outside circumstances—and, if so, how severe do the circumstances have to be to trigger it? How deeply anchored (tenacious) is the depression? Has the person been treated with medication? If so, which medications were helpful and which were not? What psychotherapeutic help has the person received and was it helpful? As explained, those are only superficial questions. More meaningful questions would attempt at least a minimal exploration of the psychodynamic structure of the person. In many instances only prolonged expert treatment can reveal the true nature of the condition. However, even those simplistic questions should show that it is impossible to create two groups of matching people. Clinical interviews, on the other hand, are quite revealing and meaningful in the study of emotional illness and psychotherapeutic interventions that may have occurred in the past. How about group therapy? Grawe, Donati and Bernauer devote a few pages to encounter groups—the most rudimentary and primitive form of group methods and not recognized as an acceptable form of therapy by expert group therapists. From then on, the authors speak only about group therapy without giving any details, lumping together all the forms of group psychotherapy even though the methods are utterly different from each other and based on completely different theoretical and methodological approaches. For instance, the group processors who ‘treat’ the group as a whole and the therapists engaging in intensive analytical therapy of the individual in an interactive group setting are worlds apart. The authors show the same irresponsibility and absence of basic knowledge throughout the volume. Another example is the chapter devoted to ‘eclectic therapy’, which they define as any treatment wherein the therapist combines at least two different treatment forms. They do not care what the two or more ingredients are but blithely make statements about their positive achievements. It makes as much sense as a cook declaring that any combination of two or three foods will make a delicious meal, no matter whether it’s prime steak with baked potato or dog food with whipped cream. If those who engage in outcome research studies had even a minimal understanding of psychotherapy, that understanding would be reflected in the design of their studies. However, I have never seen outcome research that had even half-way acceptable premises. A study of psychodynamic psychotherapy should, for example, attempt to compare treatment in which dreams are used intensively with treatment that does not use dreams at all. Dreams are one of the most important components of psychotherapy. Their proper use greatly influences the efficacy of treatment. Thus a work claiming to evaluate treatment methods should devote much space to the question of whether or not dreams are used. But check the index, there is not a word about dreams. The authors seem to believe that by listing a great number of therapies, valid or not, they can extract from the mountainous hodgepodge some conclusions of value. But the most important factor in the success of treatment is the expertise and talent of the therapist. Outcome studies conveniently disregard that factor since, otherwise, the projects would be impossible. Similarly, all other essential factors have been oversimplified to the point of being meaningless. Only such mutilation allows for producing ‘data’ that can be fed into a huge number of statistics. Abundant statistics and jargon become a substitute for psychotherapeutic expertise and pretentious, pseudoscientific language is used to bestow the appearance of importance on a meaningless academic artifact. It is obvious, however, that when most premises are false, and most details wrong, the result, constant referrals to ‘science’ notwithstanding, can only be a lamentable, confusing and confused intellectual construction far removed from the realities of psychotherapy. Poincaré has correctly stated that ‘a collection of facts is no more a science than a heap of stones is a house’. What makes it even worse is that what is presented by the authors as ‘facts’ are not facts at all. These authors are a good example of the innumerable psychotherapists who, although asserting that psychoanalysis is not a science, claim that their particular brand of psychotherapy is indeed scientific. Of course, the arguments in this chapter against calling psychoanalysis a science also apply to all of psychotherapy. The expert does not need to bedeck himself with phony medals. Since we are speaking about treatment effectiveness with non-psychotic patients, we might as well consider the following: for treatment to be effective, adequate treatment time is essential and only a patient who is well-to-do or benefits from a generous insurance policy can afford that. Under present conditions, what are the prospects for a patient who suffers from a medium to severe emotional disturbance and who, like many others, has not benefited in any major way from the new mood-altering drugs? My estimate, shared by a number of expert colleagues, is that his chances of encountering a competent therapist who may bring about slow, basic improvement are 5 to 15 per cent; his chances of meeting a well-meaning but not too knowledgeable therapist who may bring about some improvement or may, at least, keep him going are about 40 to 60 percent. The remainder of the patients receiving help from professionals, well-meaning or not, are in harm’s way. Where does that leave the seriously disturbed patient of limited means, unable to afford the necessary treatment time? Surely, for those who want to become psychiatrists, medical training is indispensable. Psychotherapy is a vast body of knowledge, however, and requires an extended training of its own. It is unreasonable to require those who want to specialize in psychotherapy first to take the long and roundabout roads of medicine, psychology or social work and only then allow them to acquire psychotherapeutic knowledge and skills. The candidate wastes years in course work of little or no relevance to psychotherapy before beginning specialized training that most of the time is vastly inadequate. One of the necessary steps to improve the quality of psychotherapy is the creation of a special study course in psychotherapy that would be open to students from the beginning of their studies. Even though I would have structured the program differently, Robert S. Wallerstein deserves immense credit for his valiant attempt to institute such a program. If any present-day therapist deserves the Congressional Medal, or even the Nobel Prize, it is Wallerstein, for having, against incredible opposition, instituted such a program. The program was eventually destroyed and its students were sacrificed, to the unending discredit of the professional entities that realized that the new program would diminish their sphere of influence and their revenue (as it well should). The psychotherapy student, to gain his passport to exercise his profession, must treat a tortuous road and is a victim of exploitation on many counts. When, however, he finally enters the system, as a practitioner and possibly a teacher and writer, he becomes part of the system and thus, willingly or not, a victimizer himself. The chief victims of the status quo, however, are the patients. Clearly, we need to determine the common denominators in the ‘system of systems’ that underlie our activities and bind them together. John E. Mack, a professor of psychiatry at the Harvard Medical School and a man of social concern, has coined a phrase that is applicable here: ‘malignant professionalism’. It refers to the fact that the great diversification and specialization in our profession lead to a ‘fragmentation of responsibility’ and, in consequence, to an actual abrogation and denial of responsibility for the consequences of one’s actions. For those of us who are deeply concerned about the quality of patient care, it is a crucial issue. Few complain about the inadequacy of psychotherapy; no one assumes responsibility for it! I write and speak as a man who has been for over 4S years one of the directors of a foundation dedicated to advancing the interests of patients. Whenever I mention that, professionals look around for the nearest exit. They need not. Even though they may never have thought about it, the improvement of psychotherapy is in the interests of both patients and dedicated therapists. As psychotherapy improves, the patient improves and the therapist derives much more satisfaction from his work. The creation of a distinct profession of psychotherapy, based on its own curriculum, is only one of the many steps necessary for the improvement of the quality of psychotherapy. Notable among the others is the proper selection of candidates and a vast improvement in their clinical expertise. Today, anyone who is willing to do the necessary course work can eventually become a psychotherapist, even if he lacks all talent for the work. Such a therapist may eventually lose interest in his work and be the cause of much damage to his patients. The very powers that benefit from the status quo insist that the qualifications of a student can best be determined by his achievements in the many courses they force him to take. Far from it. Long-term studies by the American Mental Health Foundation have determined that a far more appropriate way to establish a candidate’s suitability for psychotherapeutic work is to observe him in a psychodynamic group therapy setting. As stated earlier, to achieve clinical expertise the psychotherapist must learn to detect the causes of his patient’s problems and suffering. He must learn the almost forgotten craft of reconstituting in his mind, through an understanding of the clinical material he discovers in the course of treatment, the unique inner universe of each patient. Only then will he be able to comprehend the interplay of the forces that are operative. We discuss that work in great detail in our companion volume. No application of generalizing theory and dogma can ever substitute for the highly individualized psychotherapeutic work that is the hallmark of the expert clinician. positions. But few of them have been as outspoken as Ralph R. Greenson, Stanley Lesse, Paul H. Hoch, Joseph Wilder, Gustav Bychofski, Nathan Leites, Robert J. Stoller and the spokesmen for the American Mental Health Foundation. Confronting the system and professional self-interest, as they and Wallerstein have learned, can be a harrowing experience. Many more such voices will have to be heard if psychotherapy is finally to be led in the right direction. They will have to be as repetitious as I have been in this chapter. How we live is so far removed from how we ought to live, that he who abandons what is done for what ought to be done will rather bring about his ruin than his preservation. Colby, K.M. and Stoller, R.J. (1988) Cognitive Science and PsychoanalysIs. Hillsdale, NJ: Analytic Press. Flournoy, O. (1994) ‘Metapsychoanalysis’. In A. Haynal and E. Falzeder (eds) 100 Years of Psychoanalysis. London: Karnac. Freud, A. (1965) The Writings of Anna Freud (Vol. 6). New York: International Universities Press. Grawe, K., Donati, R., and Bernauer, F. (1994) Psychotherapie im Wandel: Von der Konfission zur Profission. Gottingen: Hogrefe. LaPlanche, J. and Pontalis, J.B. (1967) The Language of Psychoanalysis. Paris: Presses Universitaires. (Reprinted, New York: Norton, 1973). Reppen, J. (ed) (1985) Beyond Freud: A Study of Modern Psychoanalytic Theorists. Hillsdale, NJ: Analytic Press. Thomä, H. and Kächele, H. (1989) Lehrbuch der Psychoanalytlschen Therapie. Heidelberg: Springer Verlag. Wallerstein, R.S. (ed) (1991) The Doctorate in Mental Health: An Experiment in Mental Health Professional Education. Lanham, MD: University Press of America.